Jumia, Nigeria's number one online market and also one of the leading brand in Africa is Celebrating it's 6th Anniversary. There have been lots of give away from Jumia since 16th of July 2018 and there are lots of freebies including free Vochers and discounts on almost all items. 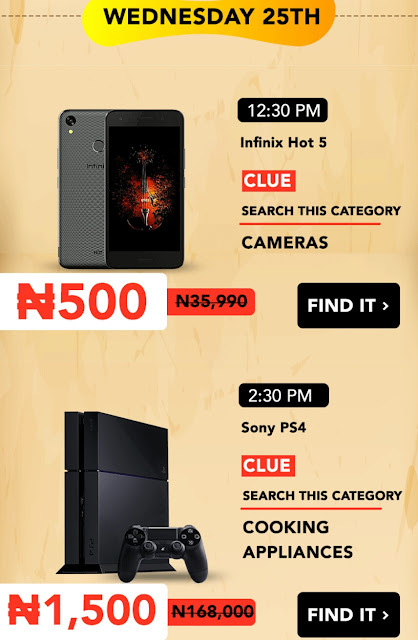 • Infinix Note 5 worth #60,509 will be sold on Jumia for #600 on Monday 24th July 2018. 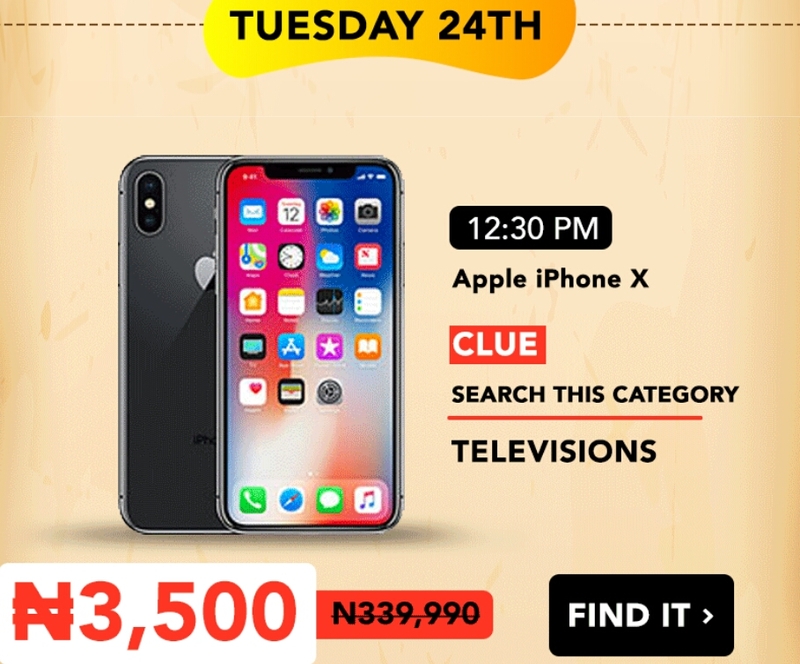 • Apple iPhome X worth #339,990 will be sold for #3,500 on Tuesday, 25th July 2018. • Infinix Hot 5 worth #36,000 will be sold for #500 on Wednesday, 25th July 2018. • Sony PS 4 worth #168,000 will be sold for #1500 on Wednesday, 25th July 2018. 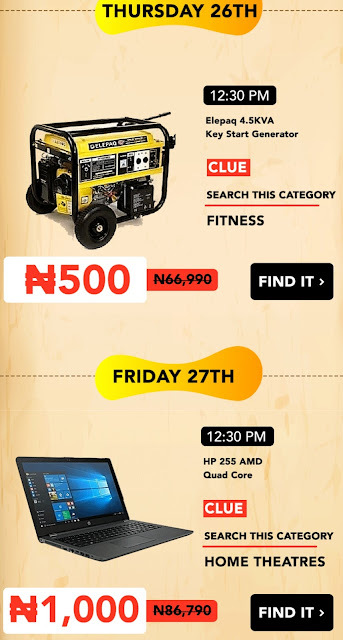 • Elepaq 4.5kva key start generator worth #67,000 will be sold for #500 on Thursday, 26th July, 2018. • HP 255 AMD worth #86,790 will be sold for #1000 on Friday, 27th July 2018. • A customer can only buy one treasure hunt item during this promotion. • The winner need to be physically present at Jumia corporate office to pick up the item. • The winner agrees that his or her pictures can be used by Jumia for promotional purposes. 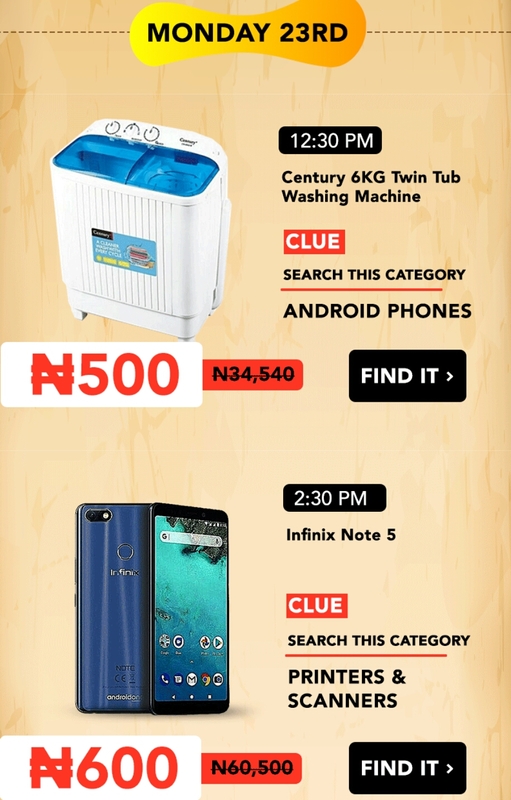 Apart from these items, there are discount on other Jumia items, so go to website www.jumia.com.ng now or download Jumia apk app from playstore to see what you can get for yourself.